Our driver guide will pick you up from your hotel in Arusha and you will drive out to Lake Natron. 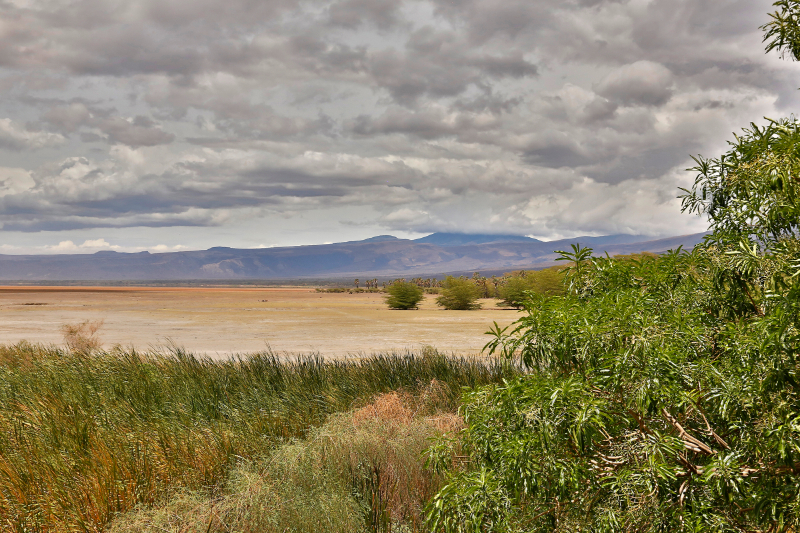 You drive via Engaruka Town towards Lake Natron on a partly bumpy and dusty road. En route you see many Masai villages, termite mounds, gazelle, giraffe, zebra, baboons, bee boxes, and birds such as vultures, ostrich, starlings and Cory Bustards. The transfer takes you some 4 hours. After checking in at your campsite and some lunch you go in the afternoon on a guided walk around Lake Natron the lowest point of the Great Rift Valley in Tanzania (600m / 2000 ft) and famous for a vast numbers of flamingos and other water birds due to a high concentrate of in sodium carbonate, algae, and zooplankton. You can go for a hike up the Ngare Sero River which flows in the Lake Natron In contrast to the surrounding dry landscape, here you can find a small paradise. Rise at midnight to a coffee, tea and a light snack before heading off in your safari vehicle toward the foothills of Ol Doinyo Lengai, where your trek to the summit will begin. The trek is quite demanding and as there is no shade on the mountain, you will need to bring a good hat and plenty of water. The climb takes about 5 to 7 hours. The terrain underfoot consists of rough scree, lava and volcanic ash, with steep gullies and furrows to negotiate. Once you reach the summit you can explore the two craters with caution, as one of them is still active. 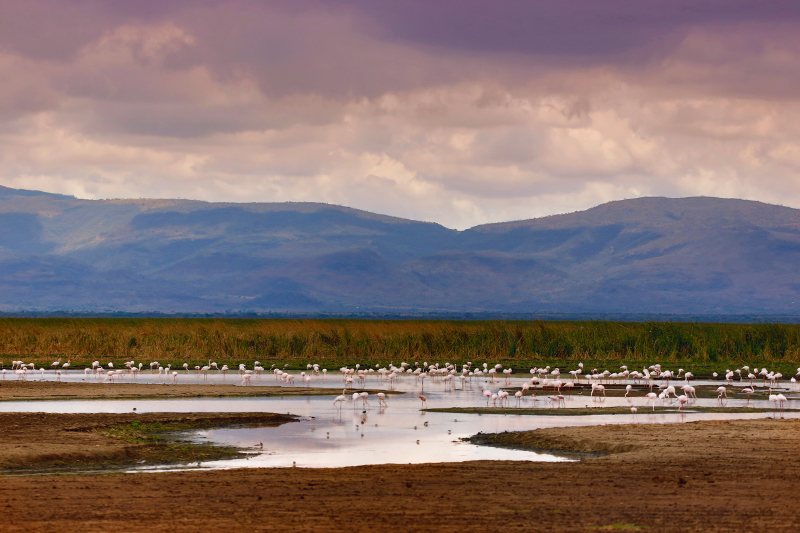 Enjoy the breathtaking views across Lake Natron and the Great Rift Valley. Descend down by mid morning to the foothills of Ol Doinyo Lengai where your safari vehicles awaits you. Transfer back to your camp for some rest and breakfast. After breakfast you will leave the camp ready for the road transfer back to Arusha. You drive via Engaruka Town towards Karatu on a partly bumpy and dusty road. En route you see many Masai villages, termite mounds, gazelle, giraffe, zebra, baboons, bee boxes, and birds such as vultures, ostrich, starlings, Cory Bustards, and kites. The transfer takes you some 6 hours. You will enjoy a picnic lunch enroute stopping for souvenir shopping along the way. You will arrive back at your hotel for dinner and overnight. Accommodation-Category: 4* Located on the very edge of Lake Natron, this 10 tent luxury tented camp is perfectly situated for amazing adventures! Located within walking distance are the hominid footprints and Lake Natron where over 1 million flamingoes come to breed, it is also ideally situated as an ending point for our Empakai to Lake Natron Trek as well as a number of other activities and expeditions combined with northern Tanzania safaris.